Thomas Moore was born on 28th of May 1780 in Dublin, Ireland to a Roman Catholics couple. From as early an age as ten, he displayed an aptitude for verse. In 1793, the Irish Parliament opened Trinity College, Dublin, to Catholics and the following year Thomas Moore entered the College as a student. He became proficient in French and Italian, but showed little interest in Latin and other classic languages. He was to find fame as a poet, translator, balladeer and a singer. In 1812, the idea of writing an oriental poem was first seriously entertained by Moore. Lord Byron (whose biography later Thomas Moore wrote) had already made Oriental Tales told in verses famous by inventing characters like Giaour, Abydos and Corsair. Living at Mayfield Cottage near Ashbourne, Derbyshire, Lalla Rookh: an Oriental Romance took shape as an idea in Thomas Moore's mind. The poem earned him £3,150 from the publisher Mr. Longman even before he had started out to write it. At that time it was the largest sum ever offered for a single poem. However, it was a sound investment for the publisher as the poem, first published in 1817, went through more than twenty editions during the author's lifetime. The Poem gets its title from the name of the heroine of the famed tale, Lalla Rookh, daughter of Mughal emperor, Aurangzeb. Engaged to the young prince of Bucharia (Bukhara, in nowadays Uzbekistan), Lalla Rookh sets forth on a journey to Kashmir where her nuptial is agreed to be solemnized, but on the way she finds herself in a dilemma as she is smitten by love for a poet named Feramorz who regales her with wondrous tales as they journey together to a Kashmr. The dilemma is resolved in the end as it is reveled that the poet and the young prince are the same. The poem consists of four interpolated tales supposedly sung by the poet: "The Veiled Prophet of Khorassan," "Paradise and the Peri," "The Fire-Worshippers," and "The Light of the Haram." It is in the final section titled "The Light of the Haram", that we get to see Kashmir of Moore’s imagination. Since Thomas Moore had never been to Kashmir (and was never to visit it in his lifetime), in order to write his Oriental masterpiece, he read the works of two of the early travelers to Kashmir. The wealth of footnotes to the poem bear witness to this fact. One of the traveler whom he read was a French physician named Francois de Bernier. Bernier visited Kashmir in 1664–65 as part of Mughal Emperor Aurangzeb’s Royal entourage and described Kashmir in the letters that he wrote. These letters later published as Travels in the Mogul Empire, A.D. 1656-1668, (Paris, 1670) are widely recognized as the first authoritative source on description of Kashmir. Mughals thought of Kashmir as 'Jannat' or 'Paradise' and so in the letters of Bernier the subject of Kashmir was covered under the title: Journey to Kachemire, The Paradise of the Indies. The other writer that Moore read was a little known traveler in service of the East India Company — George Forster. His "Letters on a Journey from Bengal to England, through the Northern Part of India, Kashmir, Afghanistan, and Persia, and into Russia, by the Caspian Sea" first published as a series of letters in 1798, was an interesting and entertaining narrative account of his two year long overland journey — starting in 1782 and ending in 1784. He traveled from Bengal to St. Petersburg disguised as a Mughal merchant, Turk, Arab and Georgian; and his work also chronicled his difficulties with language, customs and posing as a Muslim. Since foreigners were barred from entering the valley of Kashmir, George Forster tried unsuccessfully to escape the notice of spies of tyrannical Afghan ruler of Kashmir by donning the garb of a Turkish merchant. He left Calcutta on May 23, 1782 on his long and arduous overland journey to England and passed through the north-eastern hilly tracts of the Punjab in February - April 1783. Many other travelers including previous visitor like Bernier had voiced similar opinion on the subject. Bernier in particular discussed the matter at some length in his letters giving the impression that the subject must have been (even then) of a lot of interest to many westerners. Words from most of these works are now quoted in support of all kinds of Jewish-Kashmiri theories. His information was derived from inquiry and observation than from books; and when he relates what he had seen, his veracity may be trusted; but his historical disquisitions are frequently inaccurate. He returned to India, and was preparing for farther researches in that part of the world, when his death took place at Allahabad, in 1792. Between Bernier’s account of Kashmir written in 1664–65 and Forster’s account written in 1782 – 1784, the valley of Kashmir had in fact changed a lot. Although the account of beauty of the fabled land remained almost same, yet there were subtle changes in the life of people living in the valley. Forster's comment on the Shawl makers was just an indication, Kashmir was already well past its glories and yet in the works of Bernier and Forster, Moore found just what he was looking for – an exotic land, and managed to create a compelling image of the fabled beauty of Kashmir, an image that inspired many European travelers to journey to this distant land. Kashmir was changing again. In 1835, an early English traveler to Kashmir, Godfrey Thomas Vigne wrote "that Kashmir will become the sine qua non of the Oriental traveller". * He thought Kashmir could become "a miniature England in the heart of Asia", a place were the "sports and games of England" could easily be introduced ( a task that was accomplished successfully by Cecil Tyndale Biscoe in around mid 1890s – although with some initial stubborn opposition from local populace of Kashmir, both Pandit as well as Muslim) and a place that could become the stepping stone for the world to "become subject to the power of the Christians". In 1846 the Treaty of Amritsar saw British gain complete control of the Punjab and proxy control over Kashmir. The present situation in Kashmir can justifiable be traced back to this sardonic act of imperialism and yet it was this treaty that opened the doors of Kashmir to the European travelers. Vigne's words proved to be true, travelers came in droves. But most of these travelers were not seeking the kind of pleasure that religion provides. British civil servants and military officers came to seek respite from the oppressive Indian summers. Kashmir offered: walk in the meadows and climb in the mountains, it offered music and dance, ride in lakes and rivers, forest for game and of course – it offered parties. With the arrival of summer travelers, Moore’s world came alive, at least textually. The mid 1850s mark the emergence of Kashmir as the Happy Vale replete with the imagery of Moore’s verse. 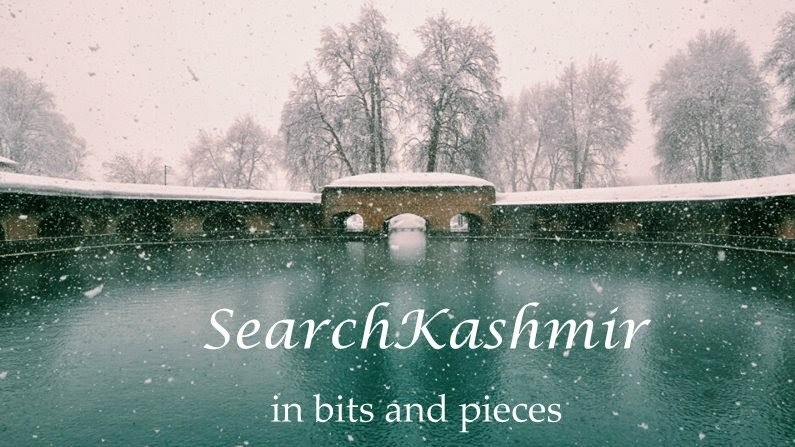 Kashmir was not simply a respite from life on the plains but became a place of romance, and for displaced Europeans, the ‘Eastern’ equivalent of ‘Western’ places of leisure: “Venice of the East”, “Playground of the East”, “Switzerland of the East”. Most of the travelogues of that era mention Thomas Moore and his poem. Most of the travelers thought of Moore’s verses regarding Kashmir to be true. There were some disappointed travelers too, most famous among them Victor Jacquemont, a French botanist who visited Kashmir in 1831, was so disappointed that he called Moore “a liar” and “a perfumer”. However, such voices were few and far, in fact even Jacquemont’s opinion was taken with a pinch of salt. For most travelers, Kashmir of Thomas Moore was a reality and providently it became a reality soon after Moore's death in 1852. 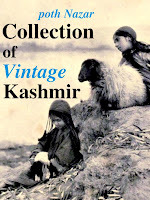 By mid 1850s, Kashmir was a holiday destination. And each hallows the hour by some rites of its own. Round the waist of some fair Indian dancer is ringing. Out of darkness as if but just born of the Sun. The young aspen-trees, till they tremble all over. Sublime, from that Valley of bliss to the world! Visions by day and feasts by night! And every leaf its balm receives. When maids began to lift their heads. And waked to moonlight and to play. Than lookt the Valley in that hour. Look lovely then, because 'twas night. Nor they themselves lookt half so fair. And what a wilderness of flowers! The mingled spoil were scattered here. Had fallen upon it from the sky! An answer in song to the kiss on each wave. Of a lute and a sigh in this magical hour. O'er the Lake of Cashmere with that One by his side! Think, think what a Heaven she must make of Cashmere! "Tied round her waist the zone of bells, that sounded with ravishing melody." --Song of Jayadeva. "The little isles in the Lake of Cachemire are set with arbors and large-leaved aspen-trees, slender and tall." --Bernier. "The Tuckt Suliman, the name bestowed by the Mahommetans on this hill, forms one side of a grand portal to the Lake." --Foster. "The Feast of Roses continues the whole time of their remaining in bloom." --See Pietro de la Valle. "Gul sad berk, the Rose of a hundred leaves. I believe a particular species." --Ouseley. A place mentioned in the Toozek Jehangeery, or Memoirs of Jehan- Guire, where there is an account of the beds of saffron-flowers about Cashmere. "It is the custom among the women to employ the Maazeen to chant from the gallery of the nearest minaret, which on that occasion is illuminated, and the women assembled at the house respond at intervals with a ziraleet or joyous chorus." --Russel. "The swing is a favorite pastime in the East, as promoting a circulation of air, extremely refreshing in those sultry climates." --Richardson. At the keeping of the Feast of Roses we beheld an infinite number of tents pitched, with such a crowd of men, women, boys, and girls, with music, dances, etc." --Herbert. "An old commentator of the Chou-King says, the ancients having remarked that a current of water made some of the stones near its banks send forth a sound, they detached some of them, and being charmed with the delightful sound they emitted, constructed King or musical instruments of them." --Grosier. The biographical sketch of Thomas Moore written by William M. Rossetti for The Complete Poems of Sir Thomas Moore. Francis Younghusband in his book Kashmir (1908) mentions a town called Hassan Abdal as the location of real Lalla Rookh's tomb. Hasan Abdal is a small town about 40 km. east of Attock, Paksitan.